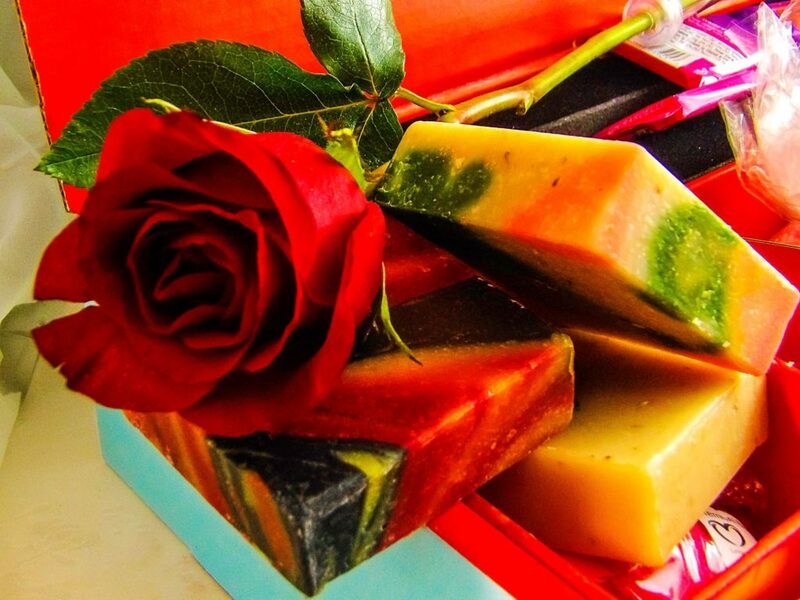 Fine soap is an affordable luxury. 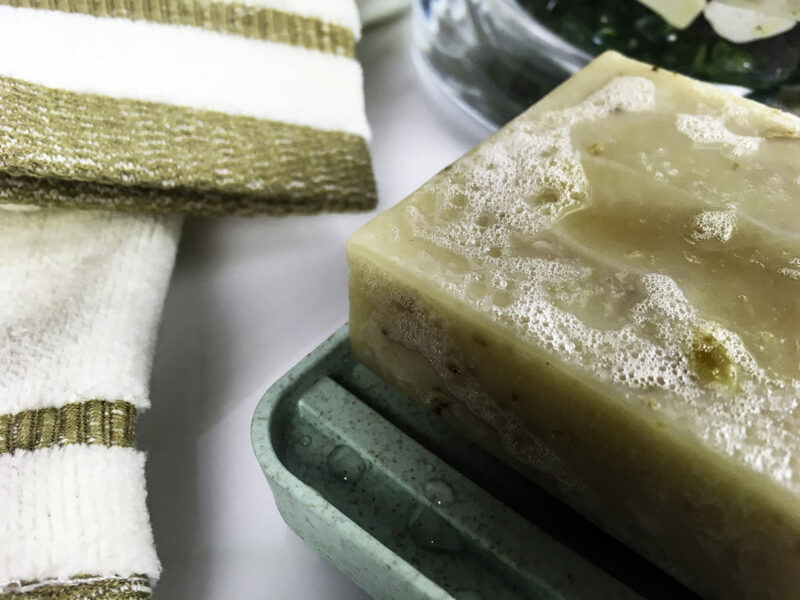 Whether a luxury soap for the guest bath, a handmade soap with nourishing creams and essential oils, or a high-end beauty or body bar of soap, it is important to keep the bar dry. 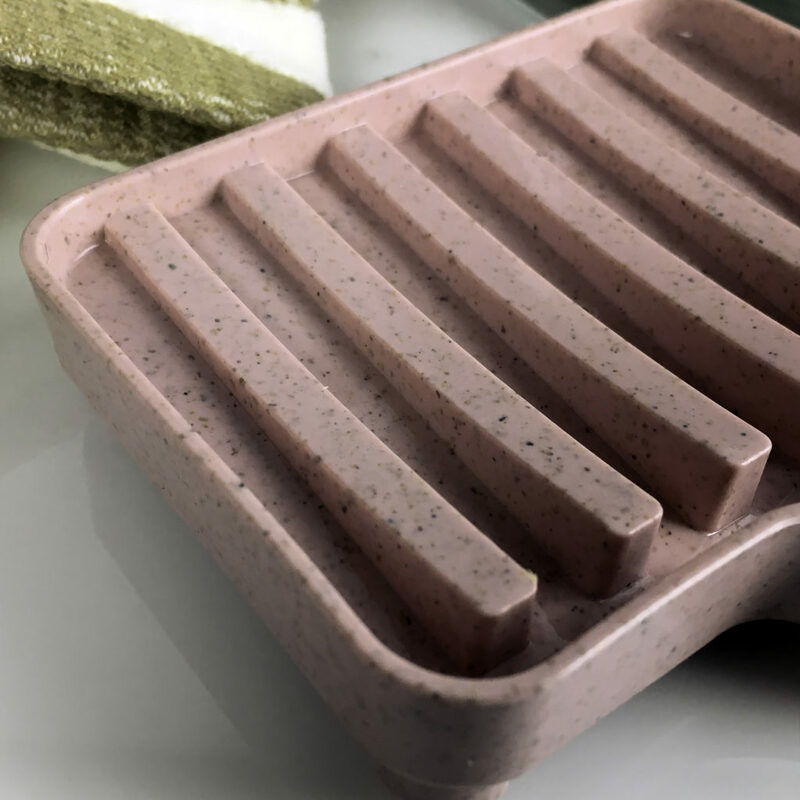 The common plastic raft “savers” or wire mesh holder often looks bad in a guest bath and is too small for larger bars, and the prettier soap dishes tend to retain water, quickly turning your precious soap into a soap soup of a mushy soap bar sitting in water, slowly wasting into unusable, unattractive soap mush. 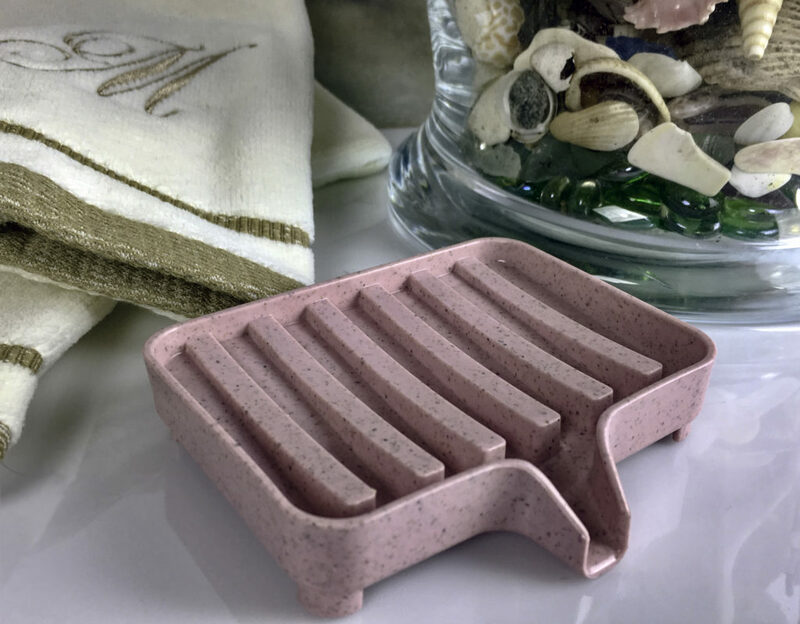 DareYou Soap Holders with Drain is an ingenious idea of creating a soap dish that drains off the excess water, keeping your high-end soaps in their best condition. 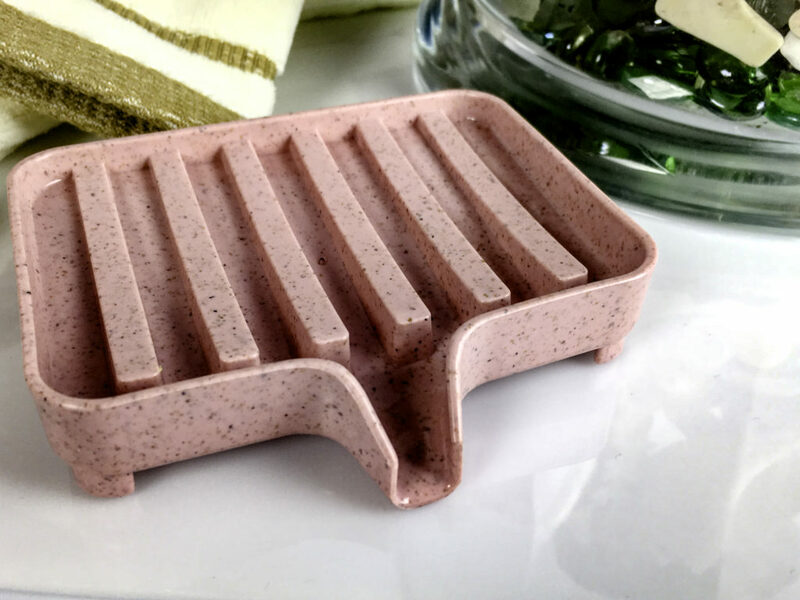 DareYou Soap Dishes with Drain keep beauty, luxury and handmade soaps dry so they last longer. 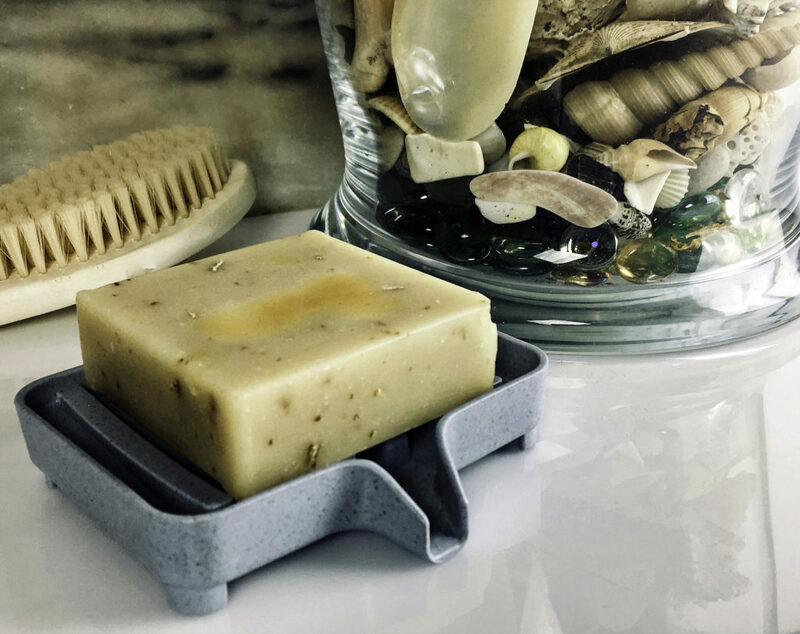 Since many fine milled soaps, handmade soaps and luxury facial soaps are so dense, they tend to stay wet longer if they are not properly cared for. 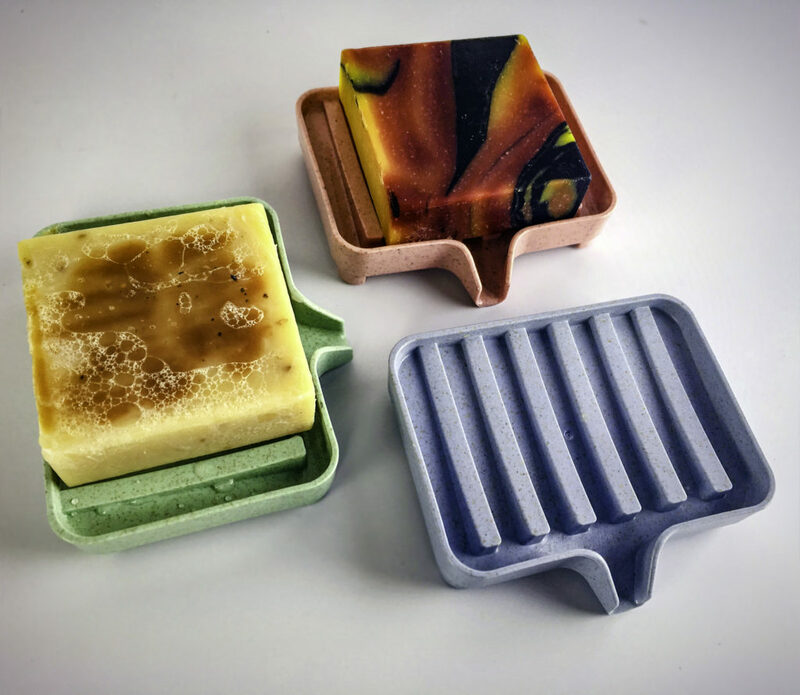 DareYou soap holders are both raised and angled to allow air to circulate around the entire bar sides, top and bottom, so that the bar dries quickly and retains shape. Keeping the bar dry helps not only save the bar but keep it free of moisture based bacteria. 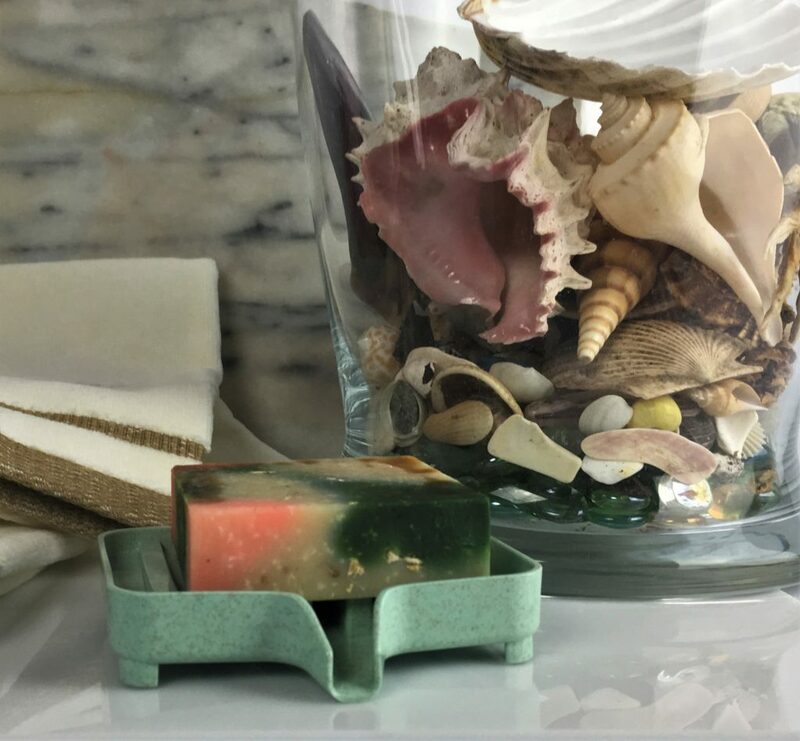 Each set of DareYou Soap Dishes contains three dishes: one in rose pink, one in pale blue and one in a pale celadon green. These colors are suitable for many bath decors. This set allows for one in the guest bath, one in the shower, and one in your personal bath for a beauty soap. 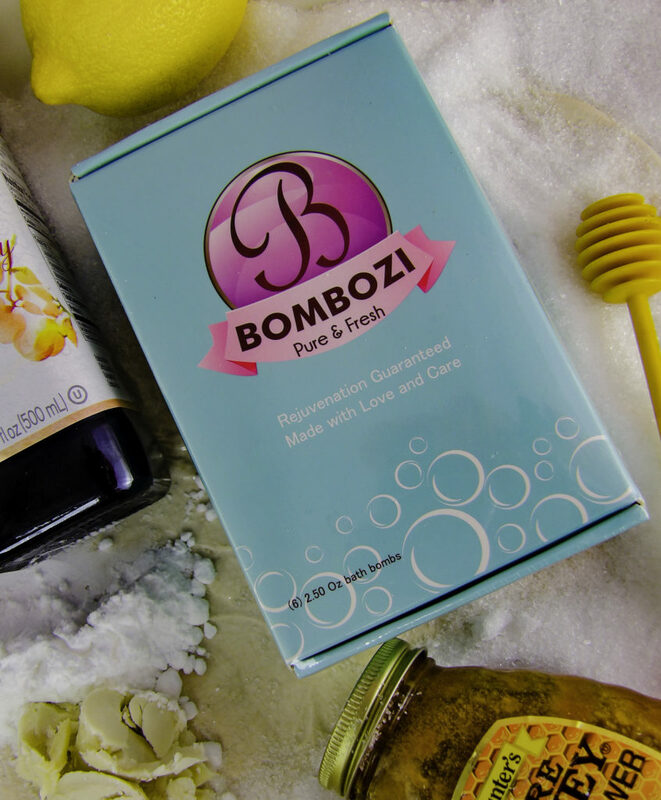 Fine soaps look more attractive when displayed nicely instead of just sitting on a plastic saver or tray. 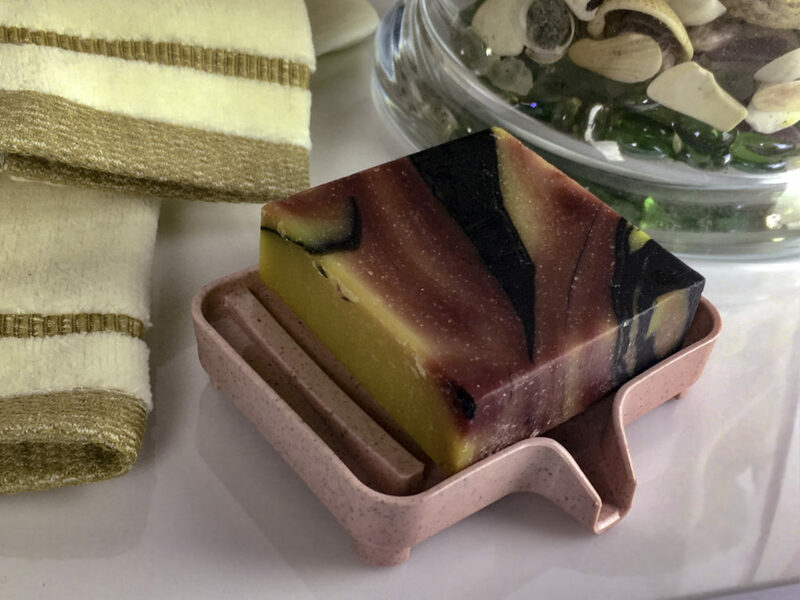 The soap holder itself is 4.3″ by 3.1″ by 0.9 inches and accommodates larger bars. The soap holder slats support even larger oversized bars such as is typical with fine milled or handmade soap bars, even unusual shaped bars. The holder also works with sponges and smaller loofahs. The slats are angled so that moisture drains down and out into the sink, shower, or basin, away from the bar. 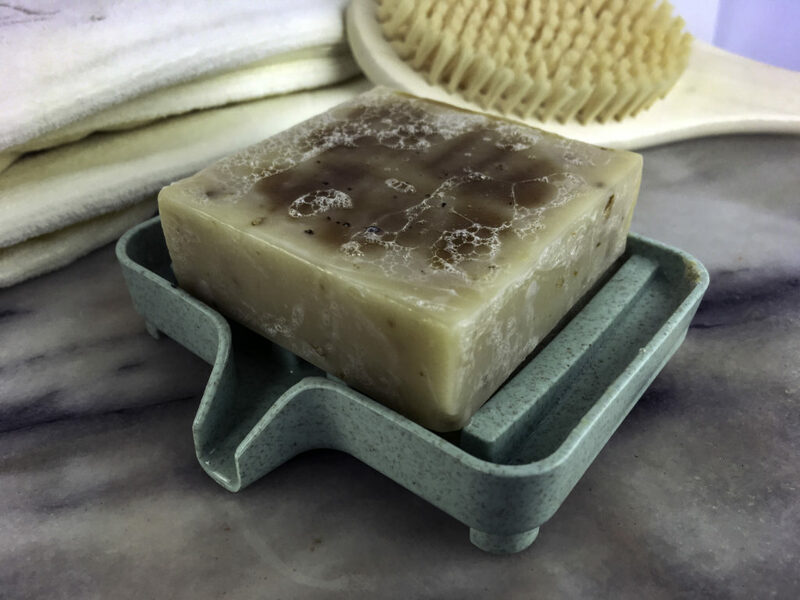 EASY TO CLEAN: The soap dish stays clean as very little soap is wasted to leave any residual or film, and all moisture drips away from the bar and out. NON-TOXIC NATURAL MATERIALS. The holder is non-toxic, made from natural wheat straw that adds durability to the plastic, and gives it a nice marbleized look. It is biodegradable. 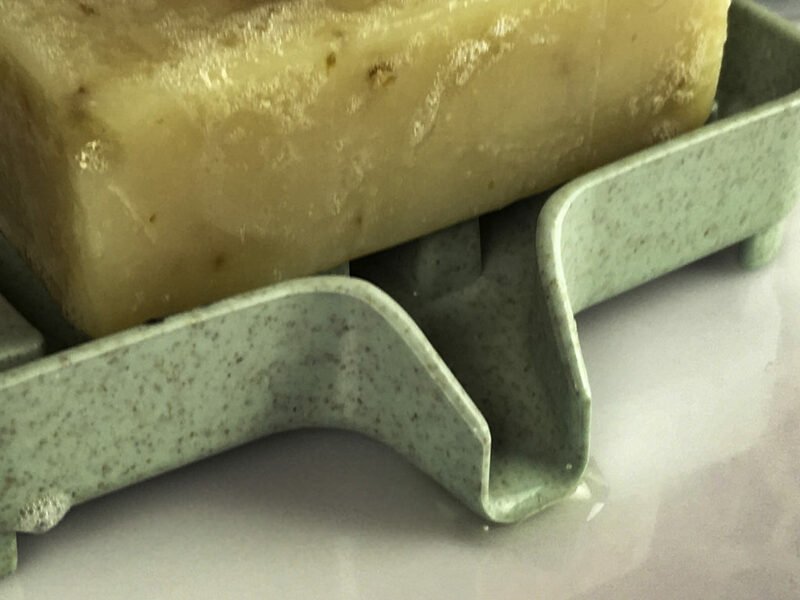 DURABLE: The soap holder is quite durable, far more than a typical plastic holder. Even if it is dropped it will not crack or break and it comes with a one year warranty. I washed my hands with a handmade soap that contains a great deal of Shea Butter and essential oils. 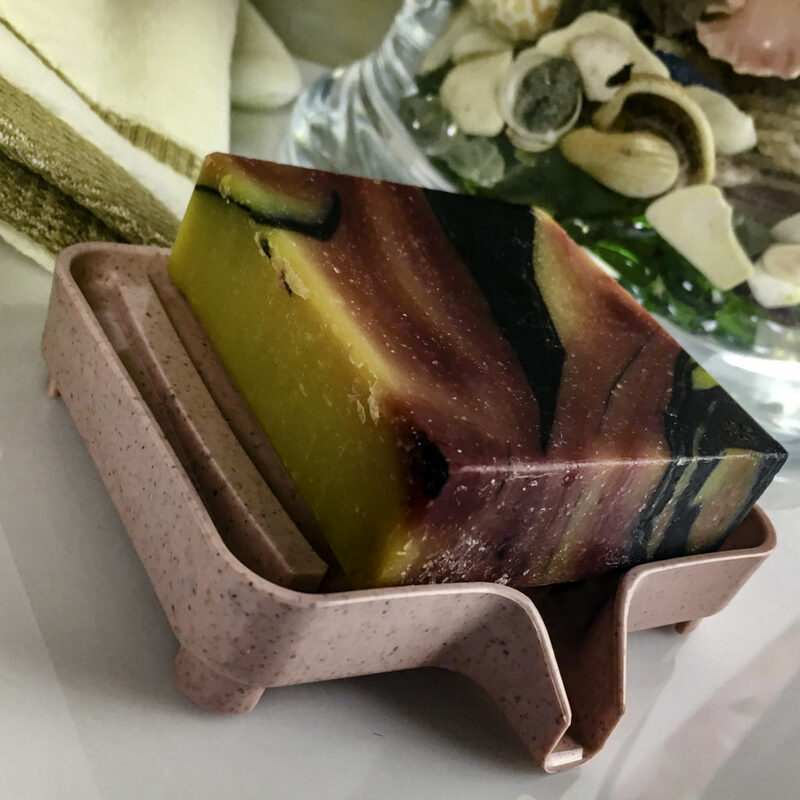 This particular handmade soap bar tends to get mushy with use and takes a long time to dry. 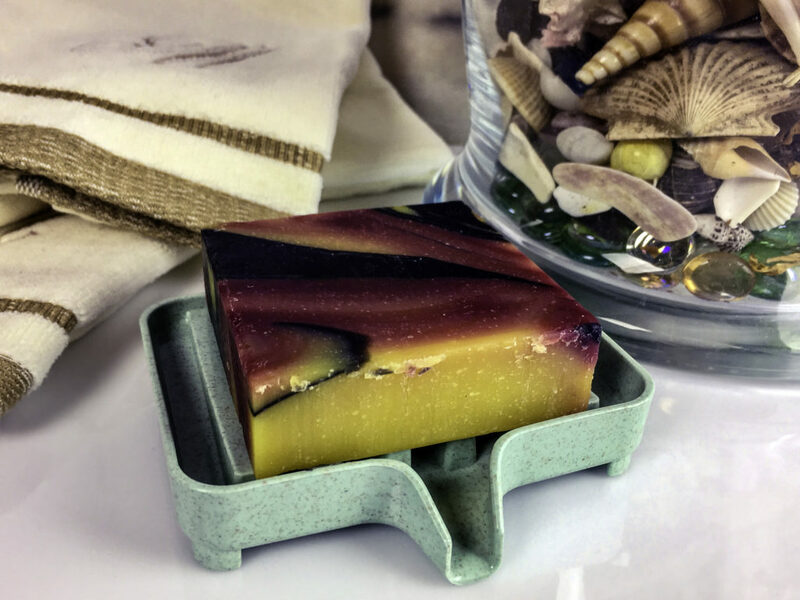 Using the DareYou Soap Holder after using my handmade Shea Butter and essential oil soap bar. The bar is wet and dripping after use. The water quickly rolled off the bar and down to the drain. The bar dried out quickly on the top, sides, and bottom while retaining its’ original shape and not becoming soft or mushy. I prefer the DareYou soap holder to the soap trays and savers I typically use. The soap savers with the plastic pegs also tend to leave marks on the soap, whereas the DareYou design did not leave an imprint on the soap. 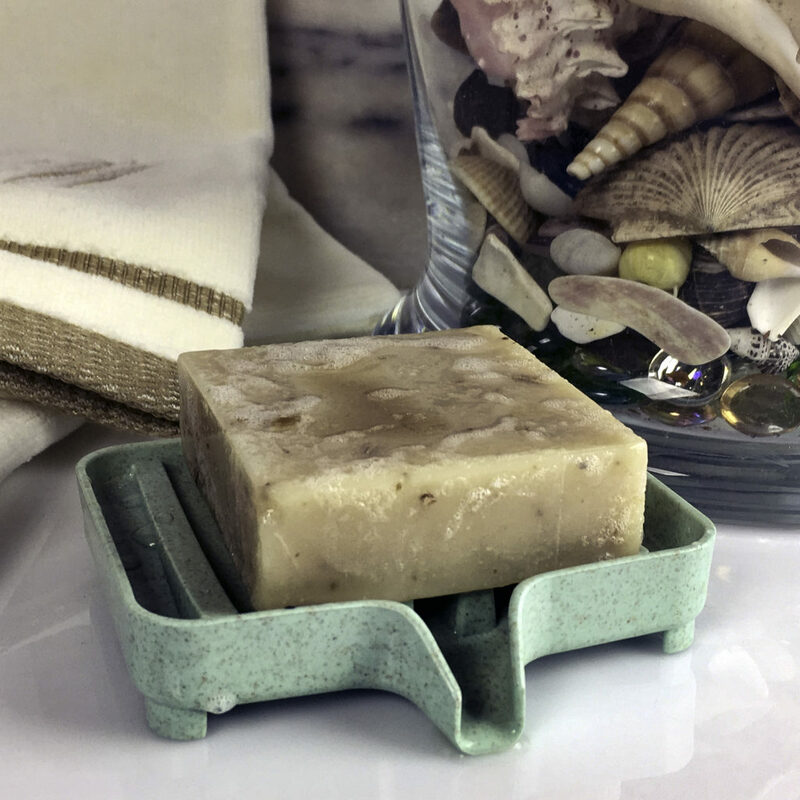 This is an especially nice feature for beauty bath soaps with nubs, decorative features, or guest bath soaps, as they all retain their original molded shape. 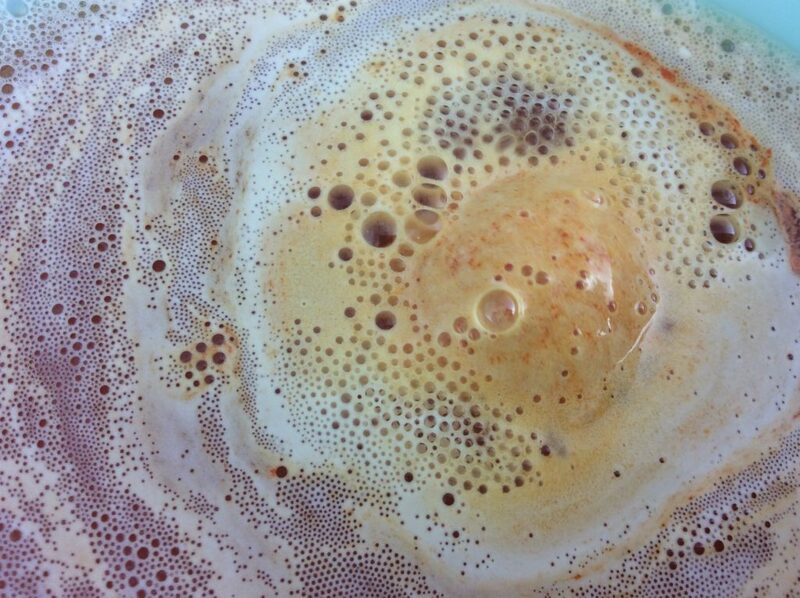 Water exits out the drain into the sink or basin and away from the soap to keep the soap bar dry. 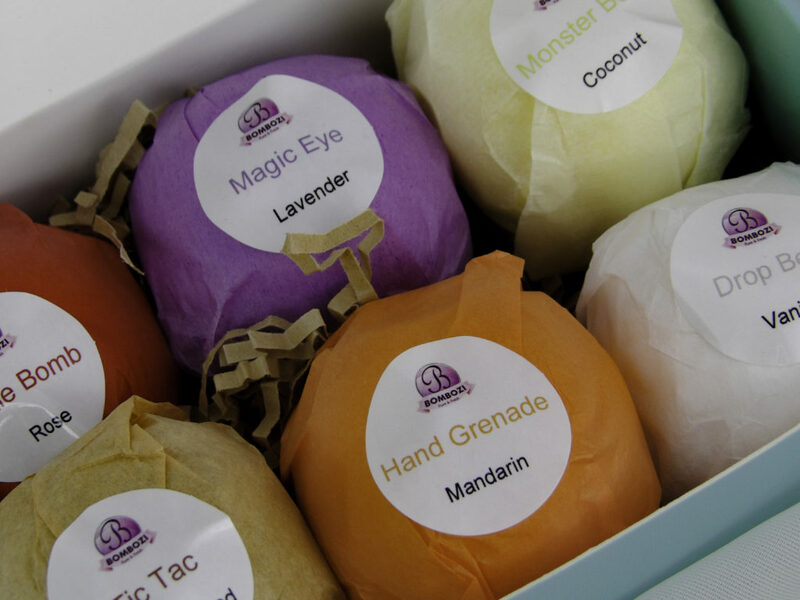 With three in a boxed set, you can even keep one in your suitcase to keep your specialty beauty soaps dry in the shower when traveling. Keep beauty bars, fine milled soaps, guest soaps and treatment soap bars in optimal condition, dry and bacteria free in a durable, attractive, non-toxic DareYou Soap Dish Holder. 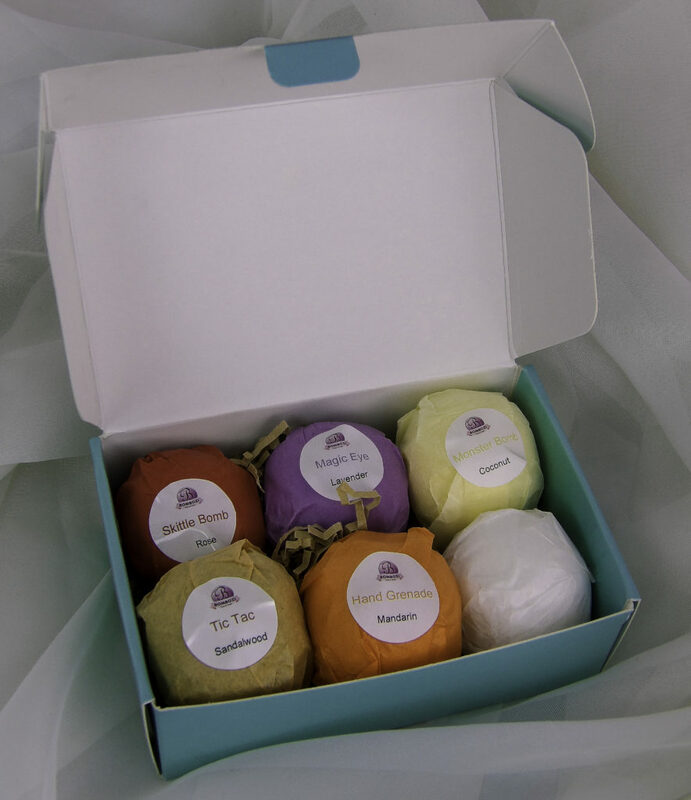 Style Chicks received the DareYou Soap Holder Trio Set in exchange for our unbiased review and received compensation for our time and effort. However, our experience with the product and the opinions expressed in this review are 100% ours. 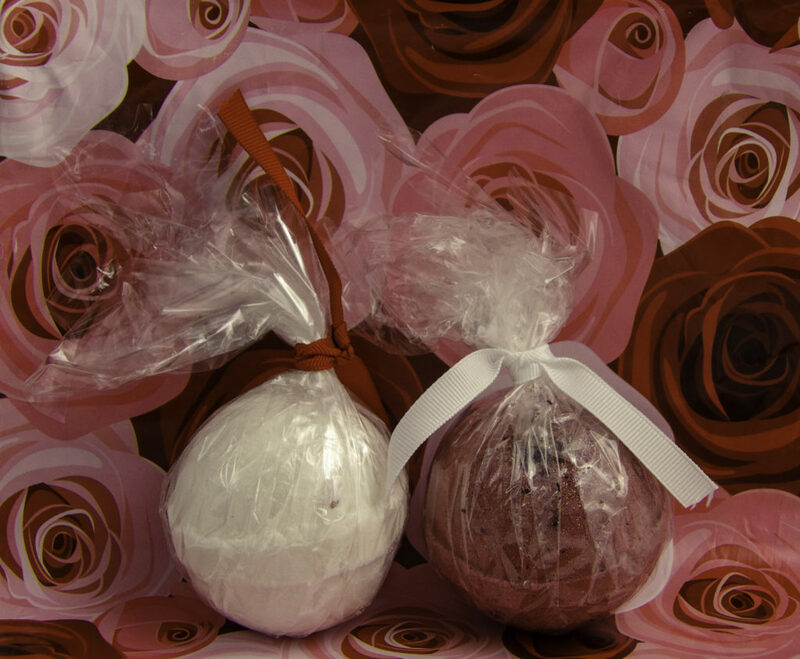 Blissique Jewelry Bath Bombs are a set of two bath bombs that are larger than typical bath bombs at five ounces each. 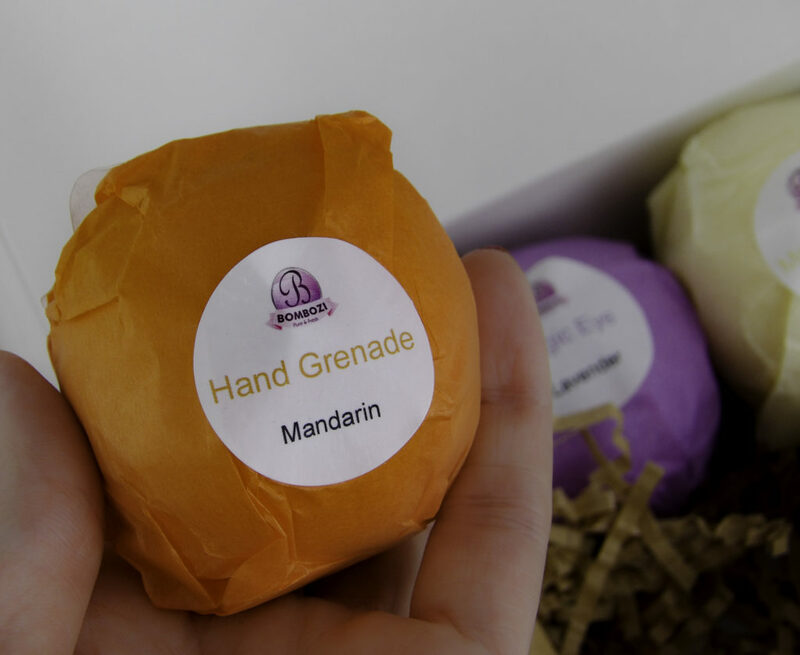 Each bath bomb comes with a surprise costume or faux jewelry ring inside, similar to an engagement ring style sparkler. 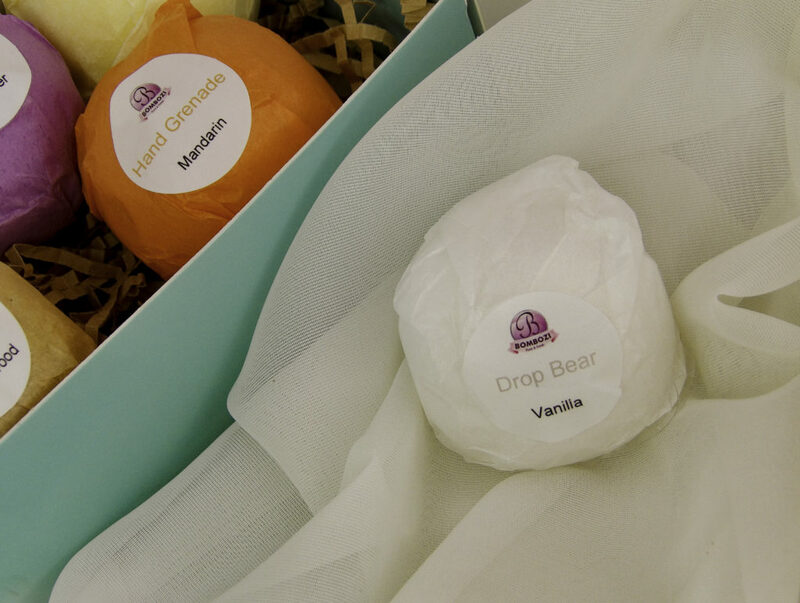 The Bath bombs are wrapper tied with ribbon, enclosed in a silver or white box. 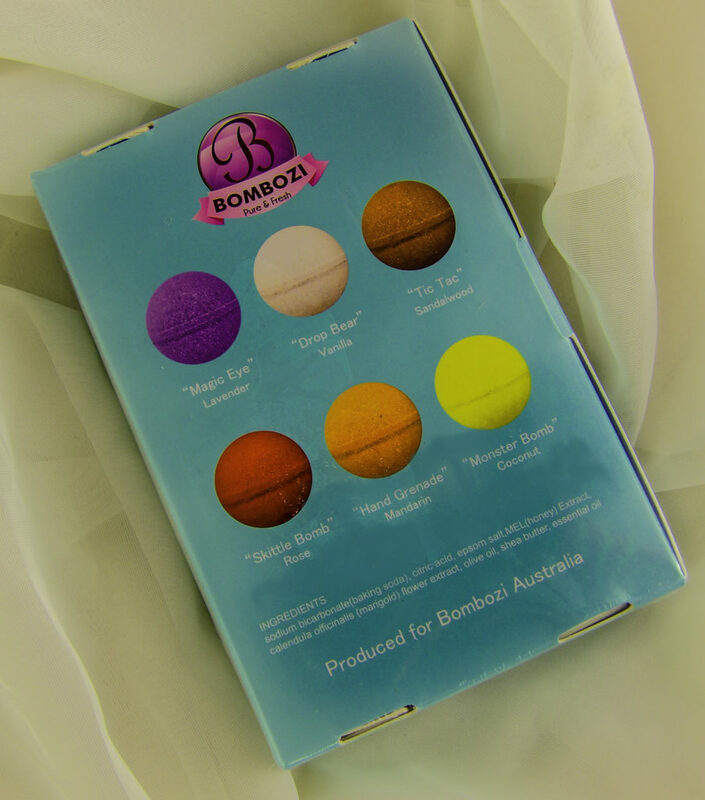 The appearance, quality, and scent are comparable to Lush or Fragrant Jewels Bath brands of Bath Bombs. “Very Valentine” a floral with a pink sugar scent and a candy heart embellishment. 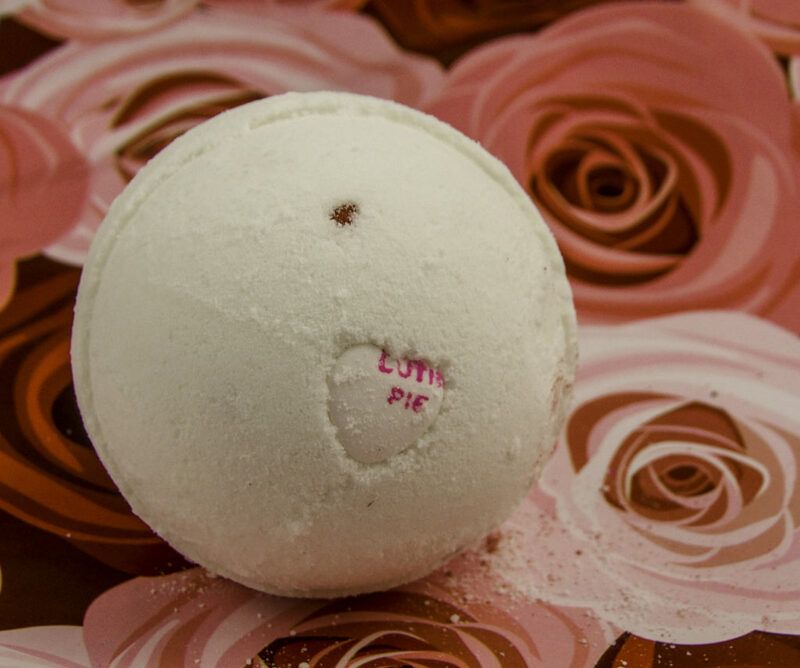 “Lush Petals” smells of citrus, cherry blossom, hydrangea, apple, and peach. 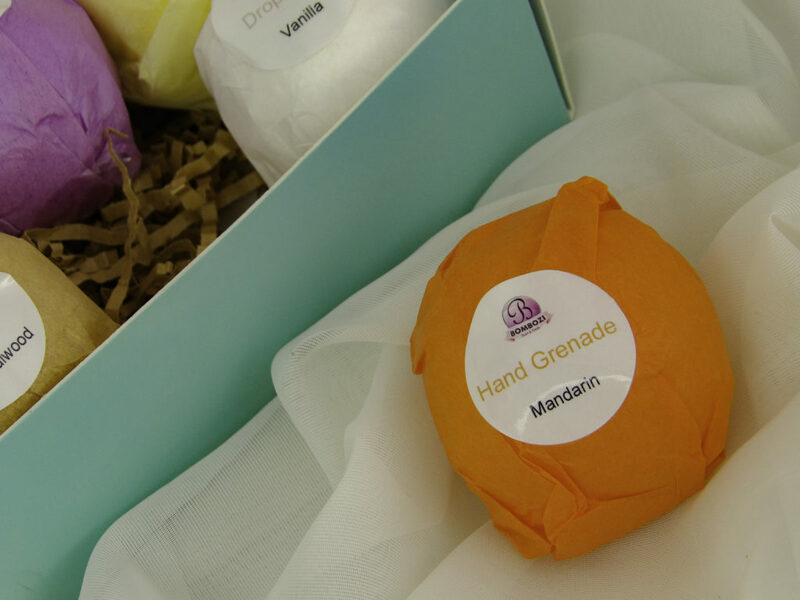 It has GLITTER, real dried flowers and rose petals that enhance the bath experience. 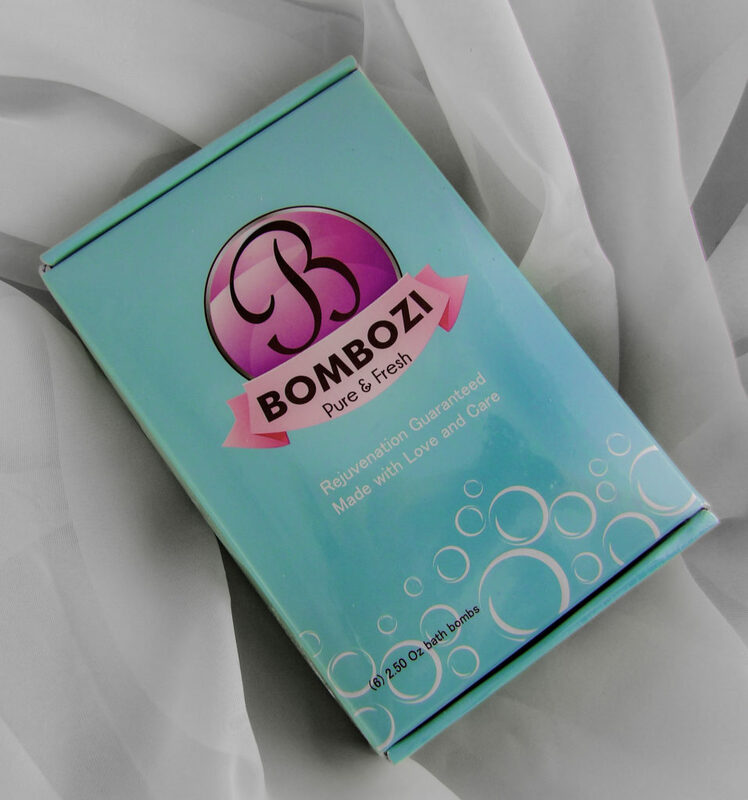 Ingredients include skin-softening Organic Shea Butter, Sea Salt, and Vitamin E oil. 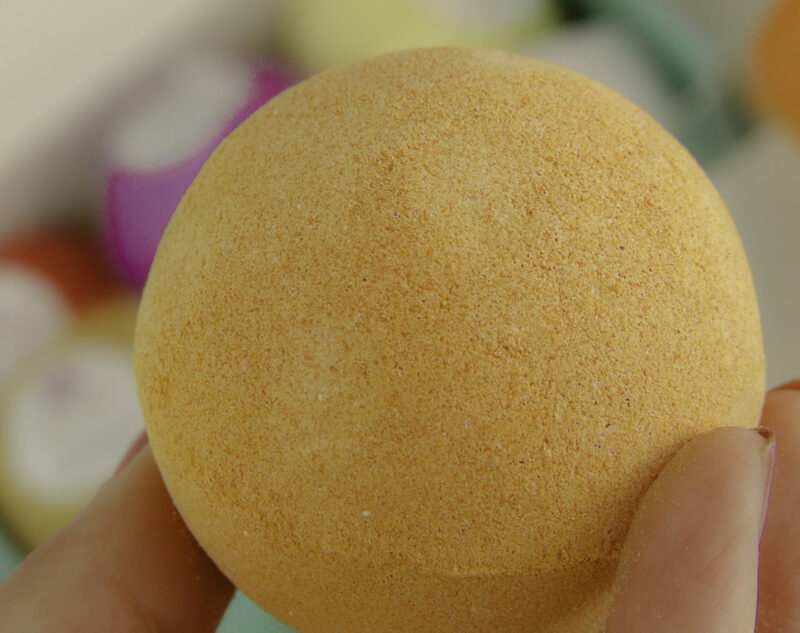 Shea Butter is highly softening and nourishing to the skin, leaving it smooth and silky. Sea Salt eases minor aches and pains as well as dry and flaky skin. 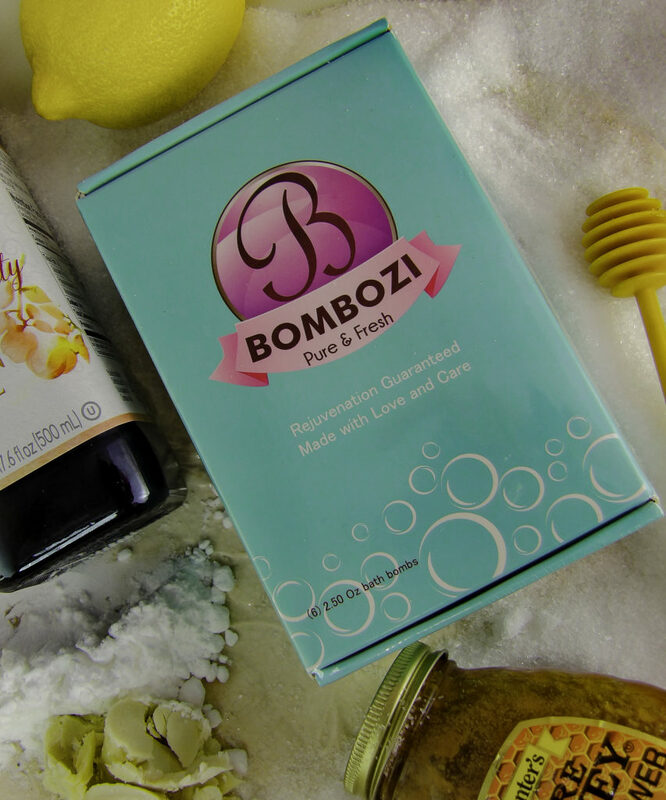 Vitamin E is a collagen-boosting antioxidant that blocks free radicals, keeping skin looking younger and wrinkle free. 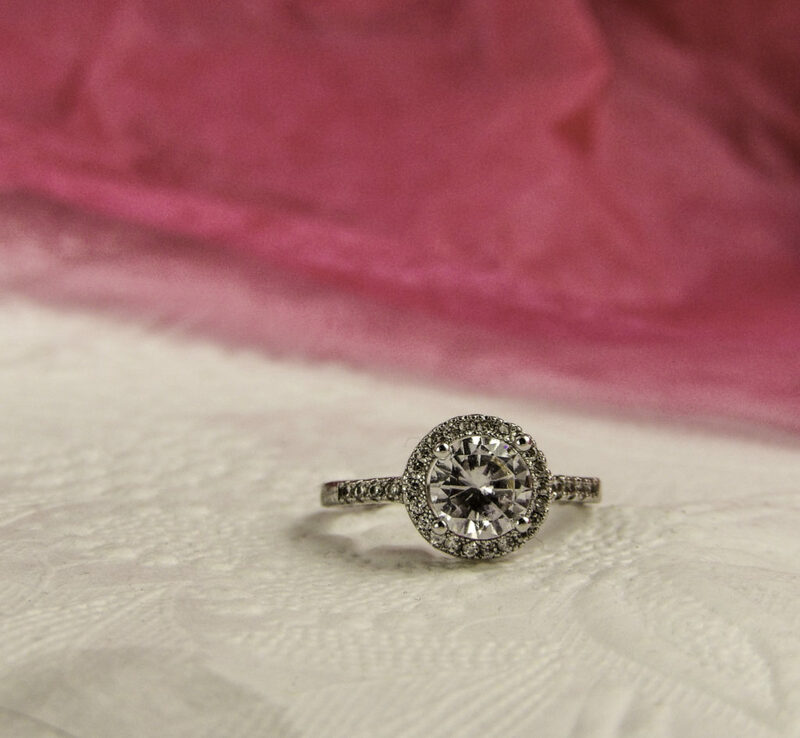 Hidden within the bath bomb is an engagement-style cubic zirconia ring. 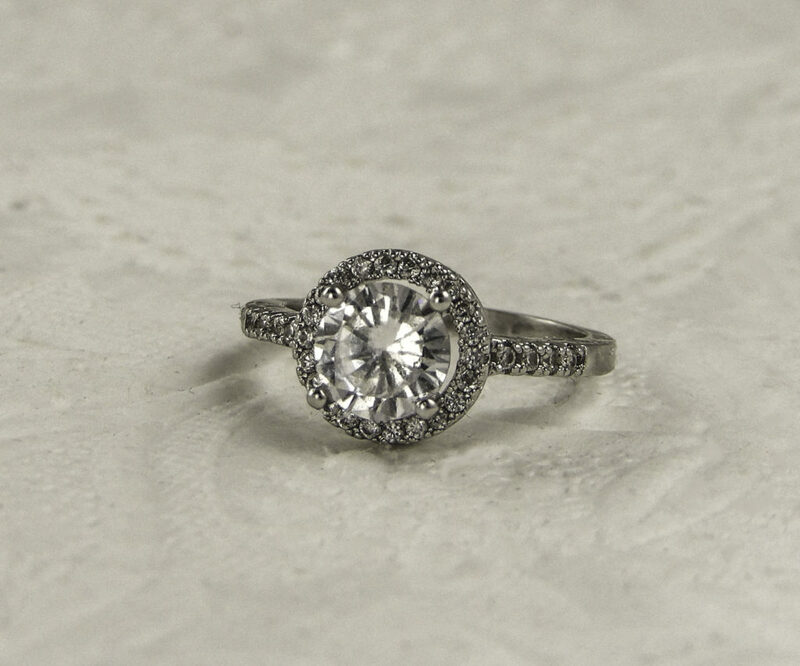 The styles and sizes of rings vary in each bomb, and range in size from 5-8. All rings are faux silver or gold with a sparkly center. 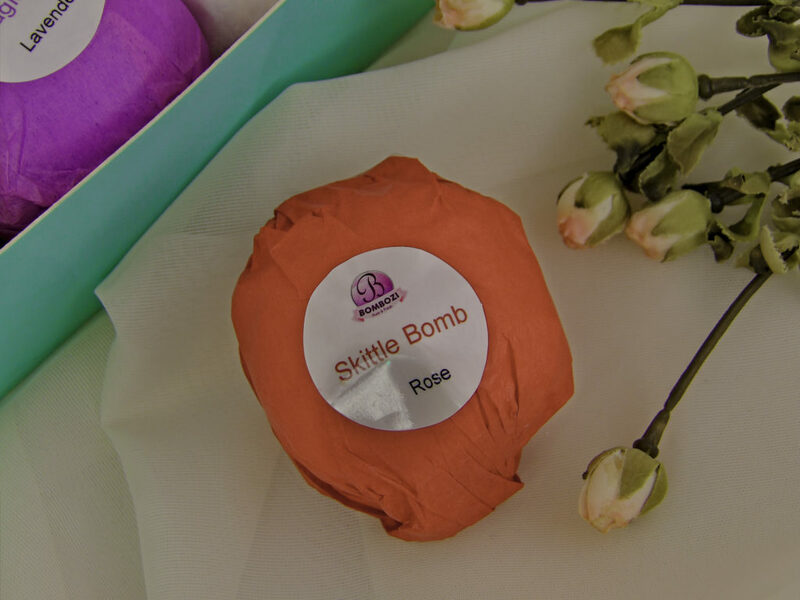 Rings are enclosed in a mini-capsule within the bomb to protect them, and so it is easier to locate the surprise in the bath. 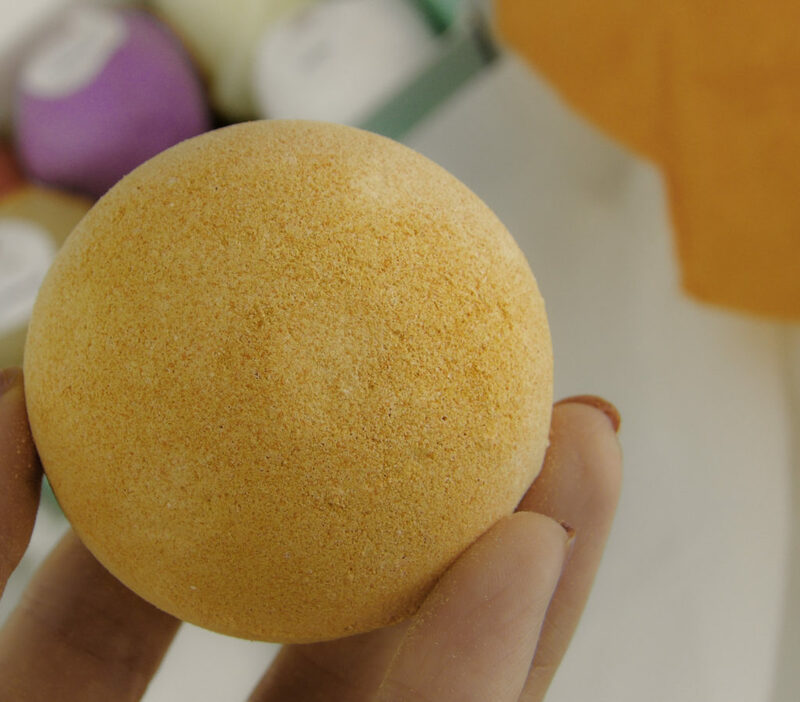 Draw a warm bath, unwrap one of the Blissique bath bombs and drop the bomb under running warm bath water. 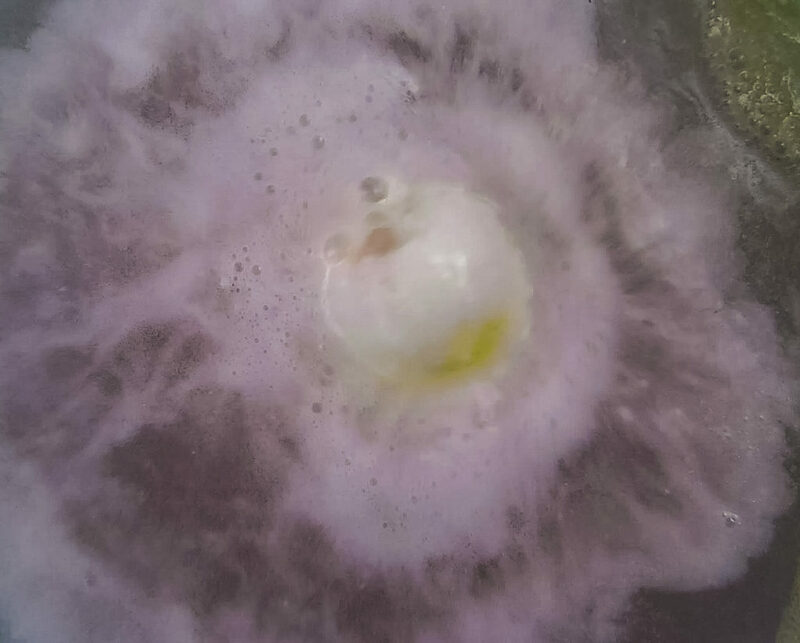 Similar to LUSH Brand Bath Bombs in size and tub-soak experience, the Blissique Jewelry Bath Bombs will fizz around the tub for about a minute, producing lush foamy swirls of color and bubbles, before a ring in a floating gumball machine like container will be revealed. The “Very Valentine” smells like pink sugar and tints the water a soft opaque pastel pink shade. 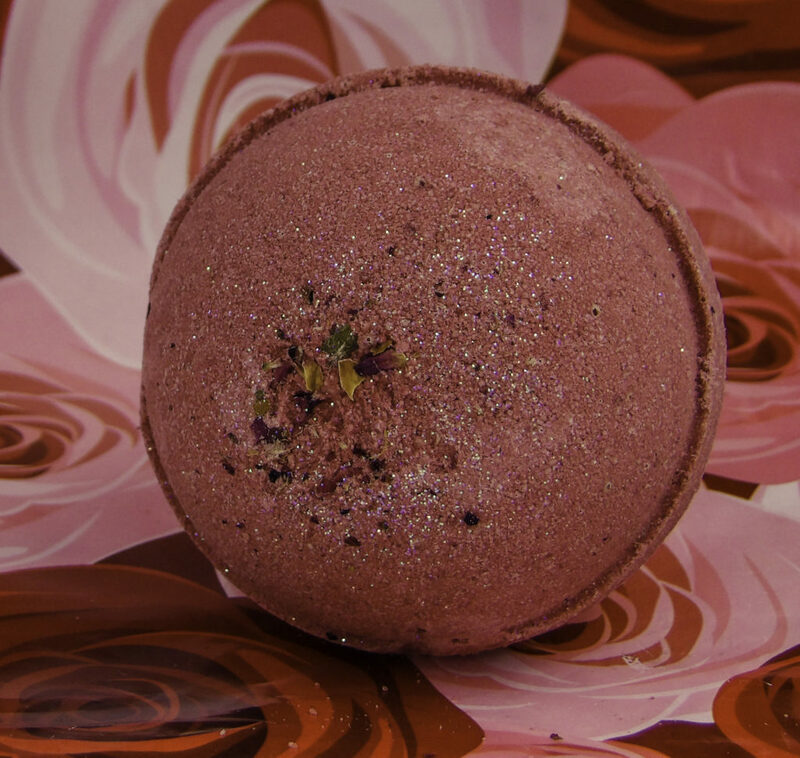 With “Lush Petals” the rose petals and micro-glitter float on the top of the bath and the water is lightly tinted an amber-golden hue. 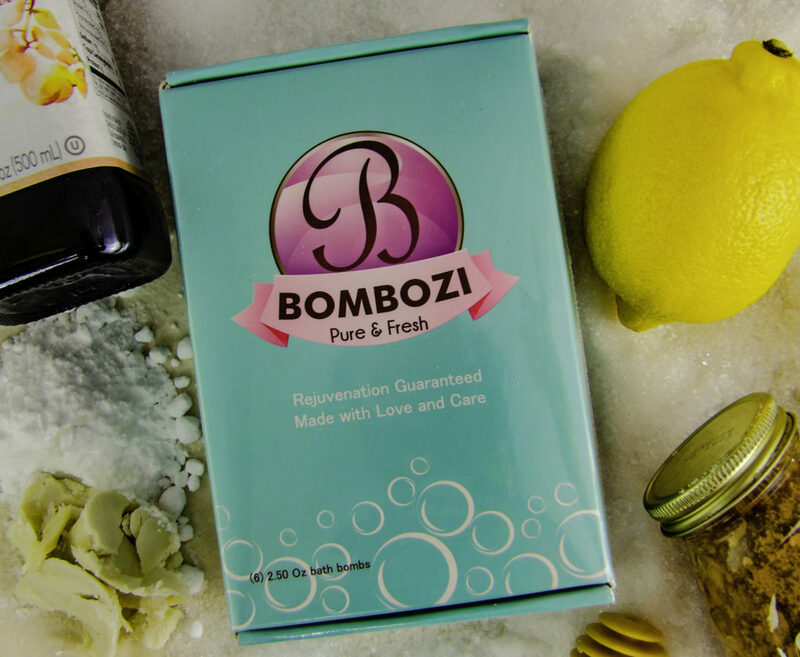 The water left my skin soft and very lightly scented, and the bath was soothing and relaxing. 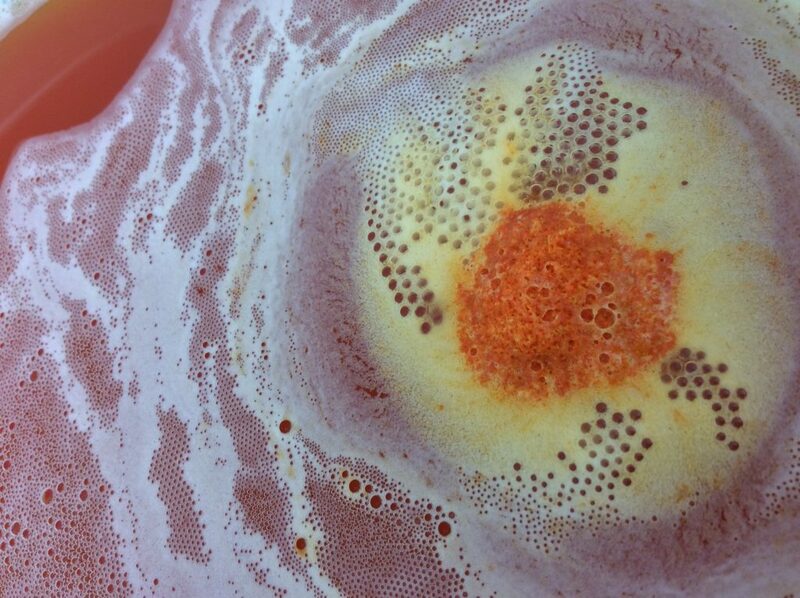 The scent and colored water lasted throughout my long, finger and toe wrinkling soaks in the tub. 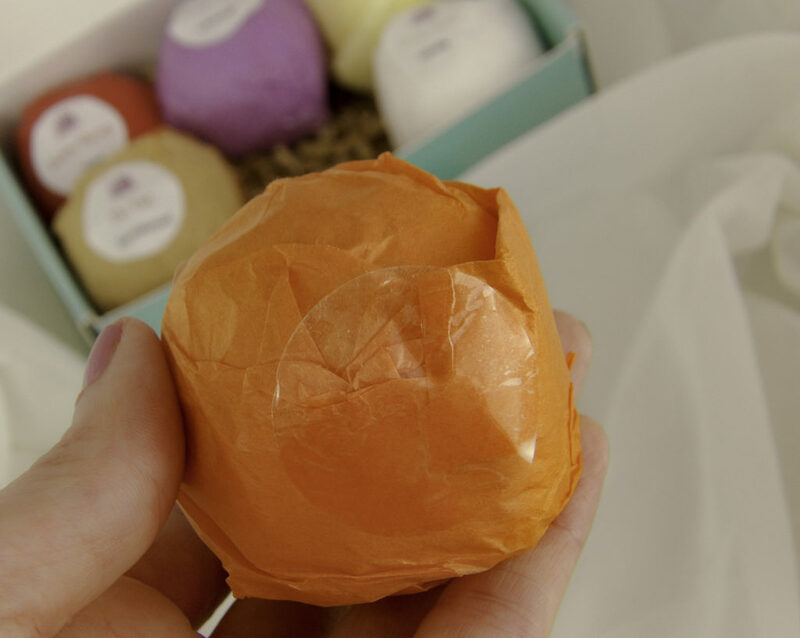 Inside the Blissique Jewelry Bath Bombs product box is a card that has the instructions to apply for Blissique VIP. 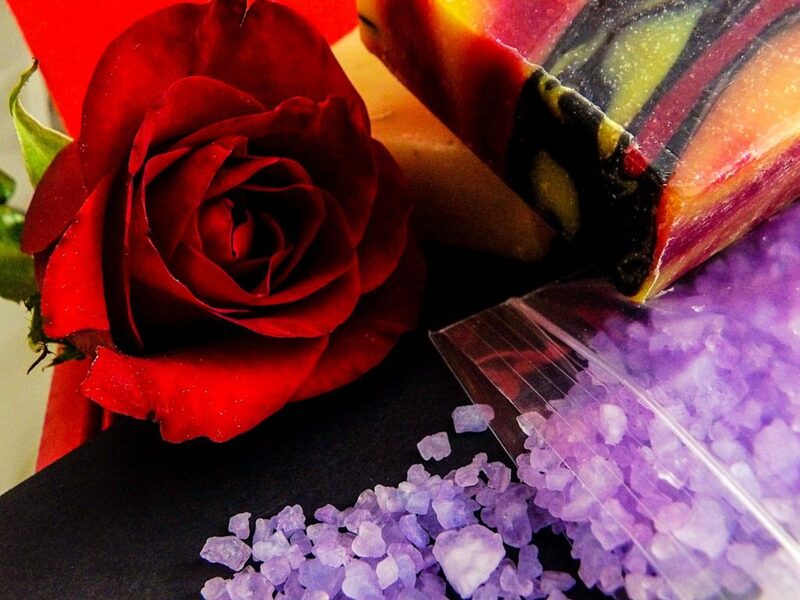 Blissique VIP members give their opinions and input on future scents, get complimentary bath bomb samples, exclusive VIP discounts and every month, one random member is selected to design a custom “Dream Bath Bomb” with a real diamond ring inside! 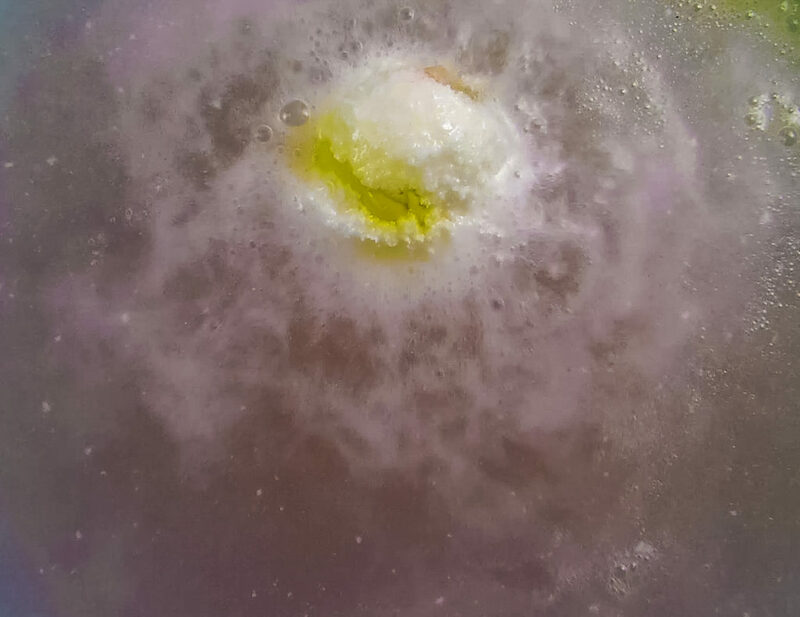 Limited to 100 bath bomb lovers, so don’t delay if you want to join. 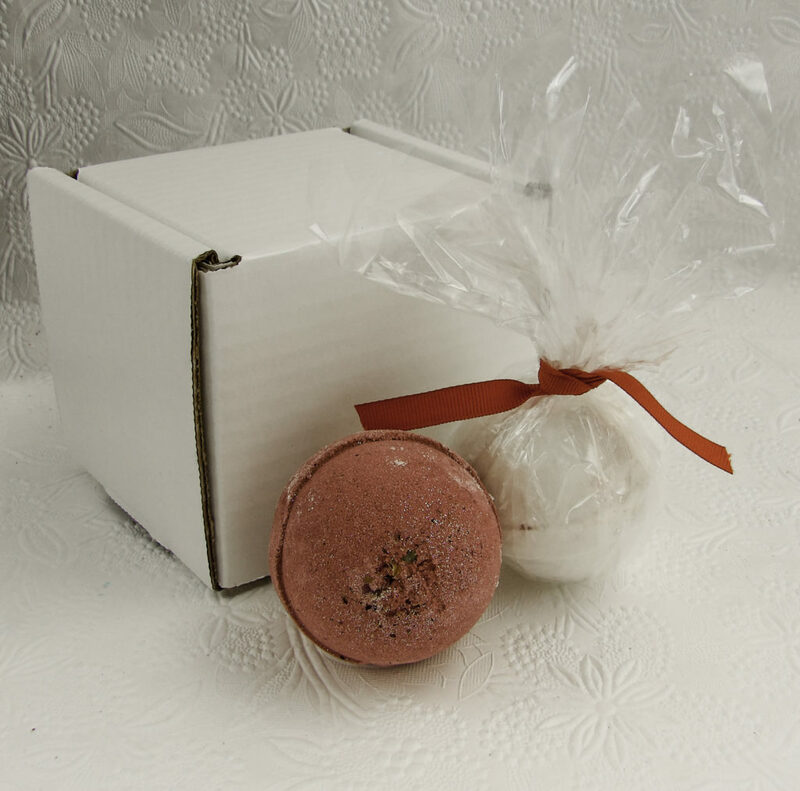 The Blissique Jewelry Bath Bombs make a great gift for Mom! They are also a lovely, enjoyable, decadent bridal Shower favor or prize. They also make a unique gift under $25 for a Mom-to-be, Bride-to-be, Bridesmaids, Friends or yourself. 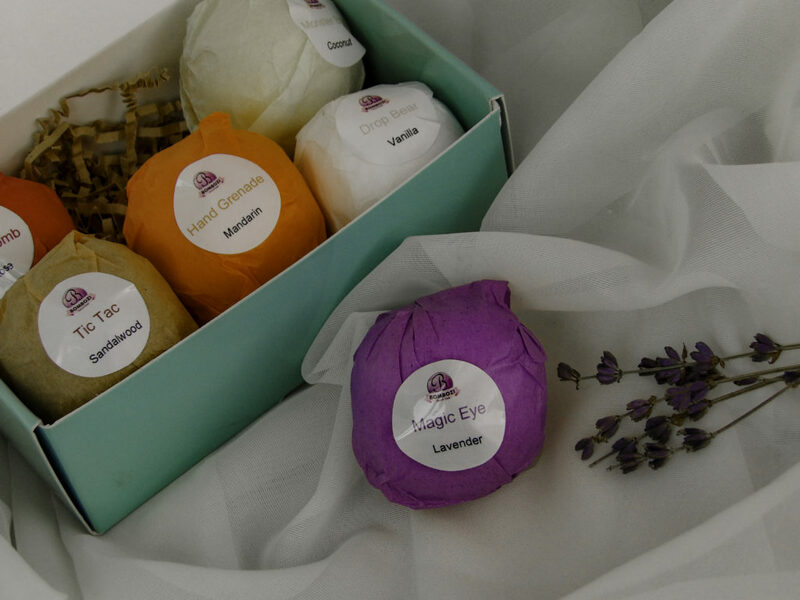 Most people enjoy pampering themselves, so if you don’t know what to give someone, the Blissique Bath Bomb Gift Set makes for a much-appreciated gift. 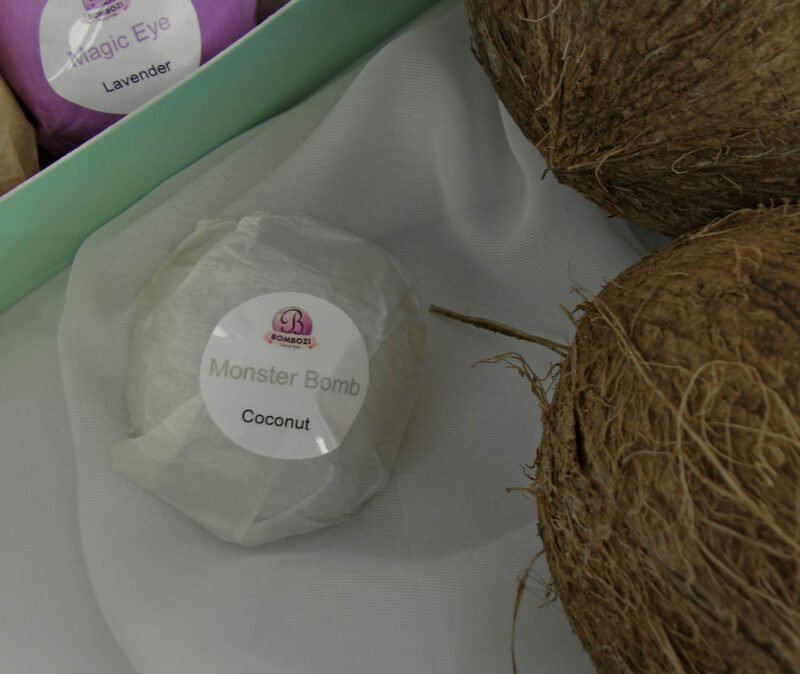 Handmade with quality skin-softening ingredients in small batches by a small woman owned company, Blissique creates super-sized, quality ingredient bombs that smell delicious and leave skin soft. 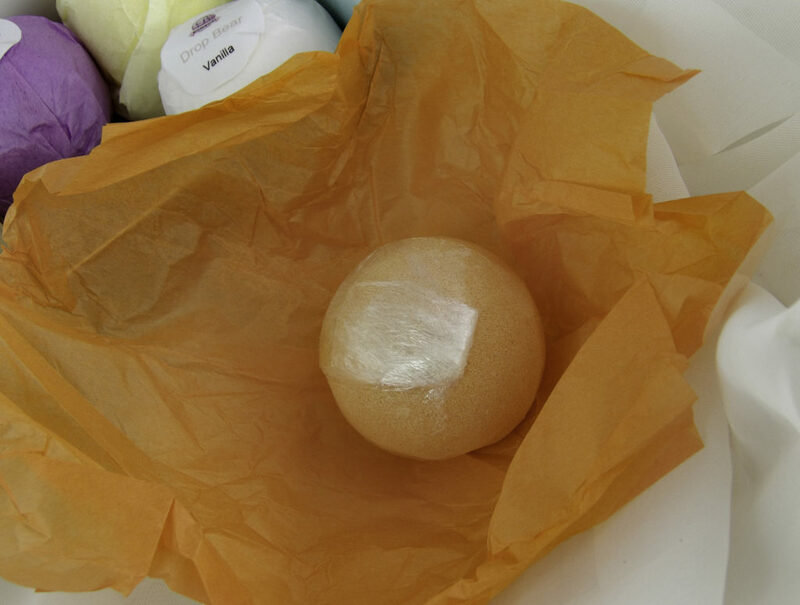 Style Chicks received The Blissique Jewelry Bath Bombs set in exchange for our unbiased review and received compensation for our time and effort. However, our experience with the product and the opinions expressed in this review are 100% ours. Are you a bride to be this Spring? Congratulations! Things are undoubtedly getting crazy busy in your wedding planning. They are getting busy for your bridesmaids as well, so it is time to start thinking about getting each of them an amazing, relaxing gift to thank them for their time, effort, and expense in celebration of your big day. 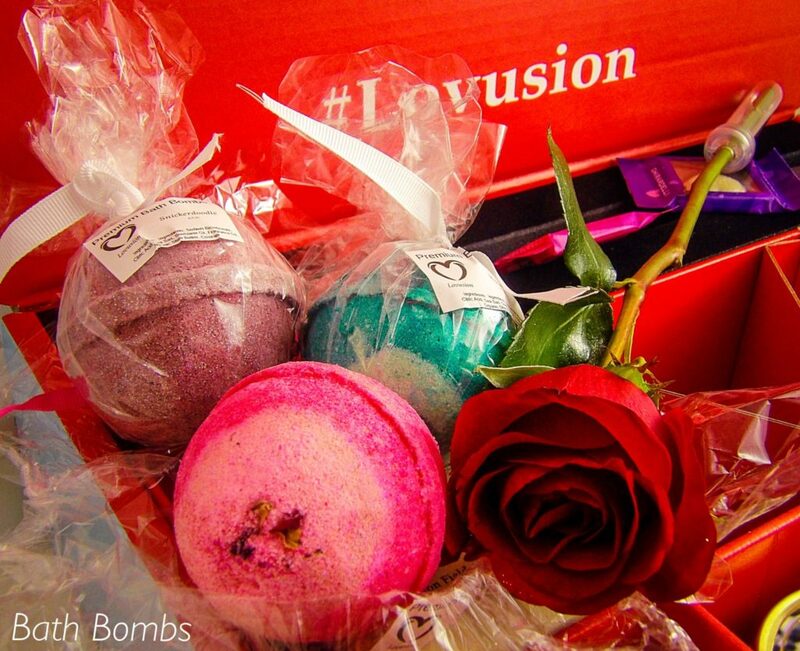 A luxe, relaxing gift that any bridesmaid-to-be would love is the Lovusion Blue Box. 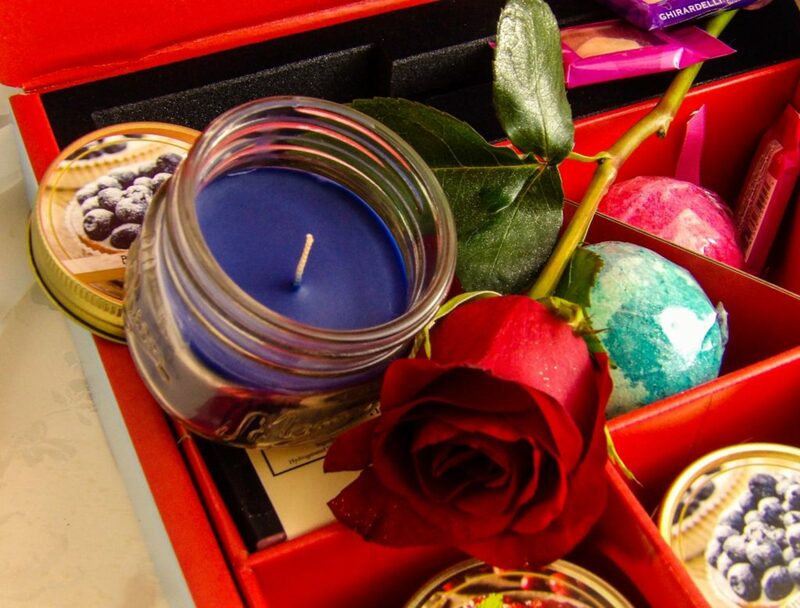 The Lovusion Blue Box is a decadent treat that comes with a fresh long-stem red rose, scented bath soaps, scented bath salts, scented bath bombs, scented candles, and chocolate! The eye-catching Tiffany-blue with red interior box comes with an embossed wax stamp red heart shape seal on a black envelope that lists all of the goodies inside. Inside the beautiful box are individual compartments to securely hold each gift item, and padding atop the gift items for safety in transit. Four colorful, scented candles (two each of Cranberry Crush and Blueberry Pie) that come in reusable glass mini-mason jars with shiny brass tops. 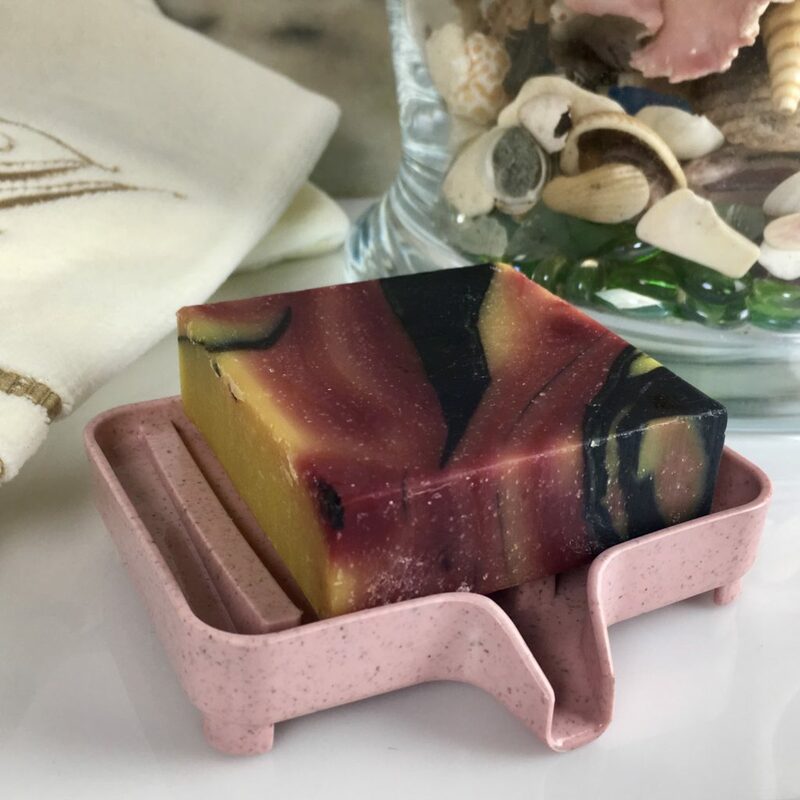 The three scented bath soaps are Cotton Field Scrub (pink and green), Cherry Almond (a beautiful multi-color black, raspberry, white, orange), and Gobi Gold (golden hues). They smell and look heavenly! 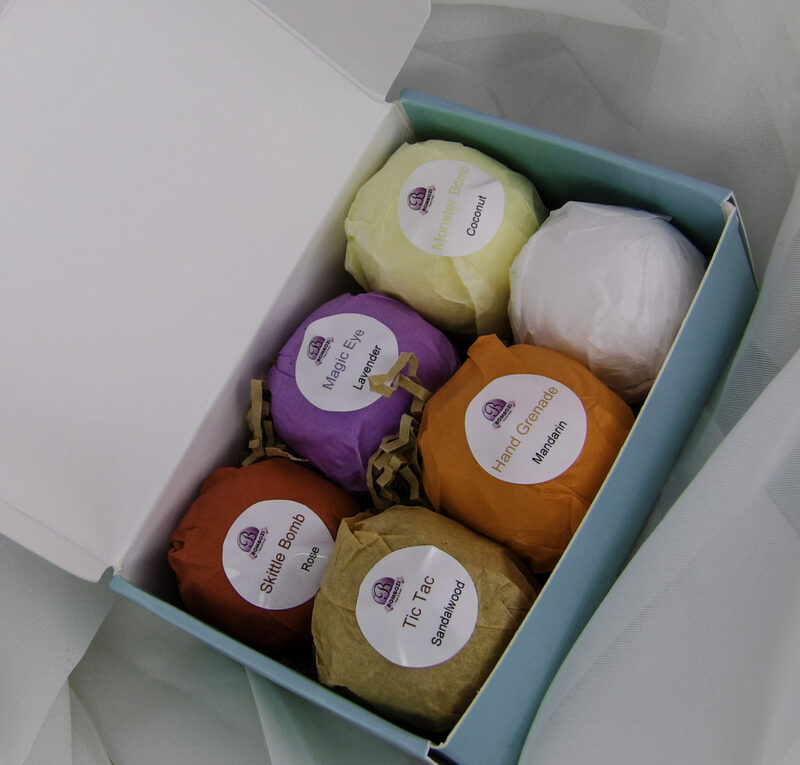 The lather is creamy, and the feel is luxe, as they are each highly moisturizing to the skin. Made with Shea Butter, Coconut Oil, Olive oil, oatmeal, and sea salt. They are double wrapped presentation style and are very generously sized. 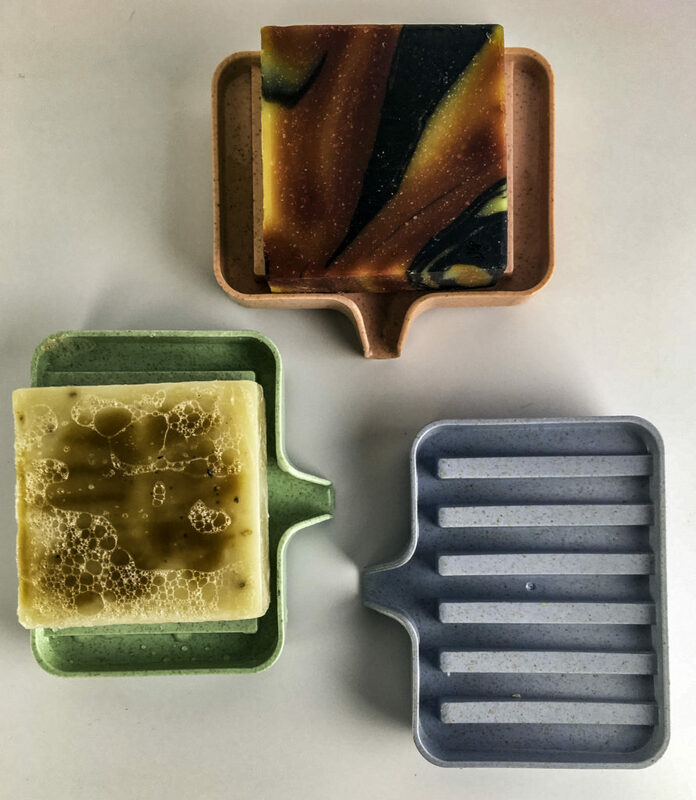 I love a high-quality soap and find this trio to be particularly moisturizing, and each has a lovely scent without being overbearing. 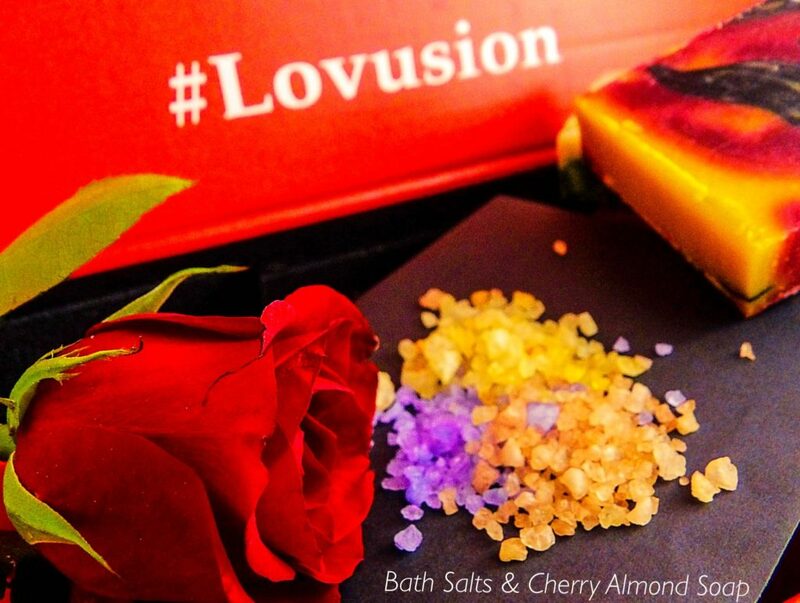 My favorite is the Cherry Almond that looks like an oil painting and smells mouth-watering! Three generously sized resealable bags of scented bath salts (Almond Coconut, Lavender, and Summer Citrus) and one Pina Colada bath milk powder. 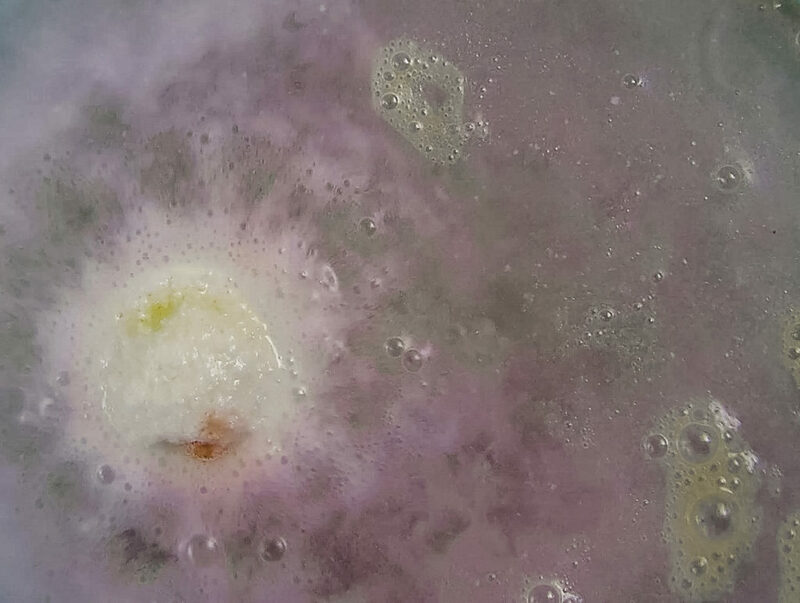 Three bath bombs (Mistletoe, Crazy Love and Snicker Doodle) in vibrant shades, notice the rose petals in the Crazy Love bath bomb (the pink one) and the lovely gradient of colors has all the makings for a beautiful bath. Chocolate! There is three individually wrapped Ghiradelli heart shaped chocolates with a sentiment. A long-stem red rose that comes with a green water tube to keep it fresh and hydrated in transit. 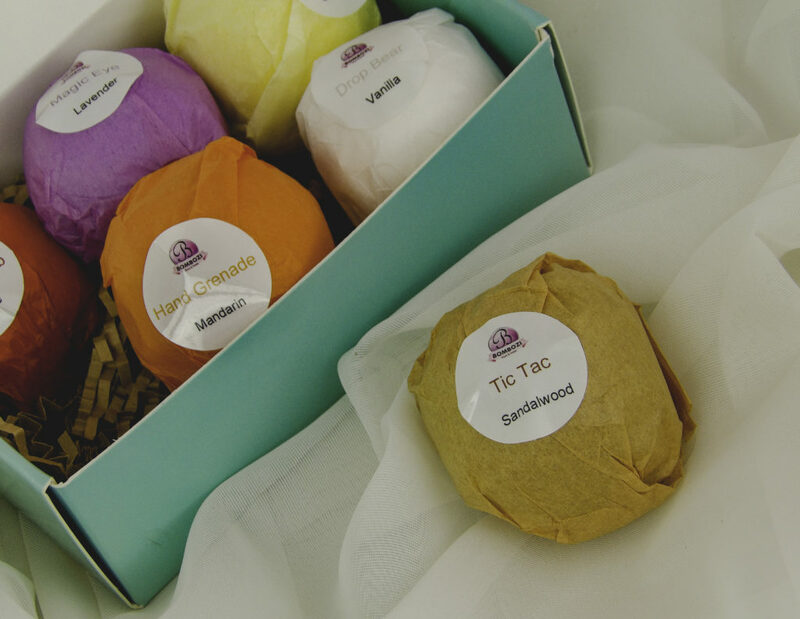 Your bridesmaids-to-be, new Mom’s, or any special someone can get several luxuriously decadent soaks in the tub by candlelight as they mix and matching scents. 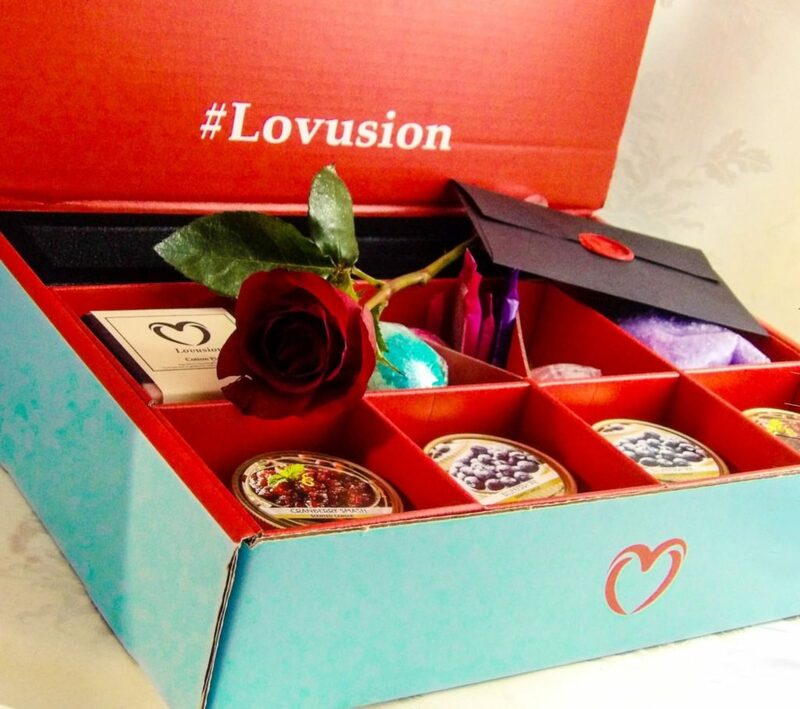 A thoughtful and fun gift that shows you appreciate them and wish to pamper someone you love, the Lovusion Blue Box makes for a go-to gift idea for brides-to-be who want to spoil the ladies in their bridal party.